Kenyan author Ngũgĩ wa Thiong’o received the coveted Pak Kyongni Prize for literature last year. Meeting Wa Thiong’o has been one of the highlights of my writing life. The critically acclaimed author visited the city of Wonju in South Korea, where he received the 2016 Pak Kyongni Prize for his lifelong contribution to literature. I contacted the organisers of the event, and travelled from Daegu by bus to witness history unfold. I covered the ceremony for Sunday Times Books LIVE and later I reflected on the experience on my blog, Reviews on a Train. Alert! Ngũgĩ wa Thiong’o recently visited South Korea where he received the prestigious Pak Kyongni Prize, an international literary award established in 2011. When my friend Palesa Mgidi first shared the news of Ngũgĩ wa Thiong’o winning the 2016 Pak Kyongni Prize on Facebook, we speculated over whether or not he would make the trip to receive the award in person. Palesa and I, both English teachers from South Africa living in Daegu, decided that we couldn’t let the opportunity to meet him slip through our fingertips. 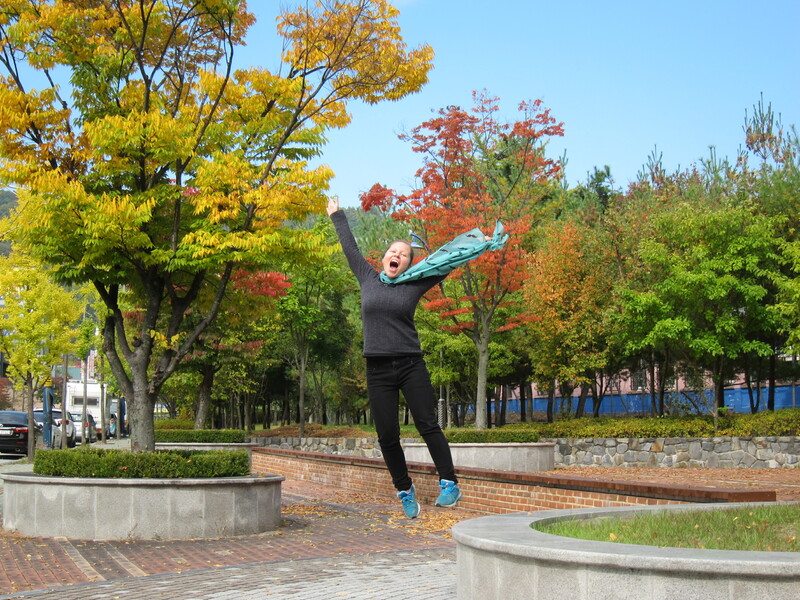 We decided then and there that we would make the trip to Wonju, and what a trip it was. Wonju is a beautiful city in Gangwon Province in South Korea. I’ve blogged about the beauty of Gangwon before, when I visited my friends in Gangneung just an hour and a half away. The moment we stepped into the streets, we were struck immediately by the heavy presence of soldiers, a fact that shouldn’t have surprised us all that much considering how close it is to the Demilitarized Zone (DMZ) that marks the division between North and South Korea. The experience of meeting a great author so far away from both our homes was one I will always remember. Something Wa Thiong’o said also kindled an idea in my head for future study: First of all that he read the work of Korean poet Kim Chi Ha and therefore was inspired to write in his mother tongue; and that they would meet each other after all these years.